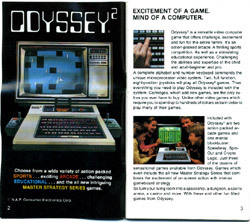 This 66-page brochure lists a couple of dozen titles available for the Odyssey2 system. I got lazy and only scanned the front cover, first two pages, and last two pages. A sturdy, reusable box for storing Odyssey2 when not in use. 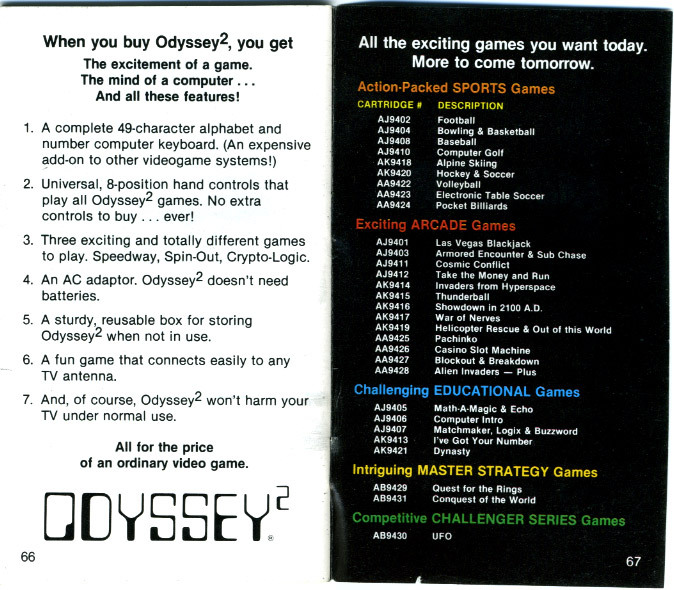 And, of course, Odyssey2 won't harm your TV under normal use. Apparently back then people had low expectations and were paranoid. 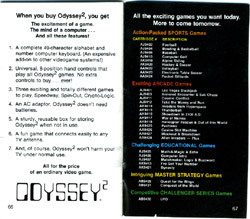 "[The two points about the box, and that the Odyssey2 won't harm your computer] are holdovers from the Magnavox Odyssey, the first home videogame console. 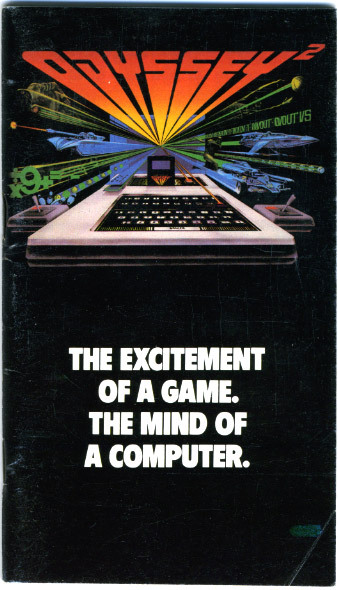 It came in a big thick cardboard storage box with little cutouts for the controllers and cards and game pieces (my parents still have their Odyssey intact in that box) and was sold only at Magnavox television dealers. 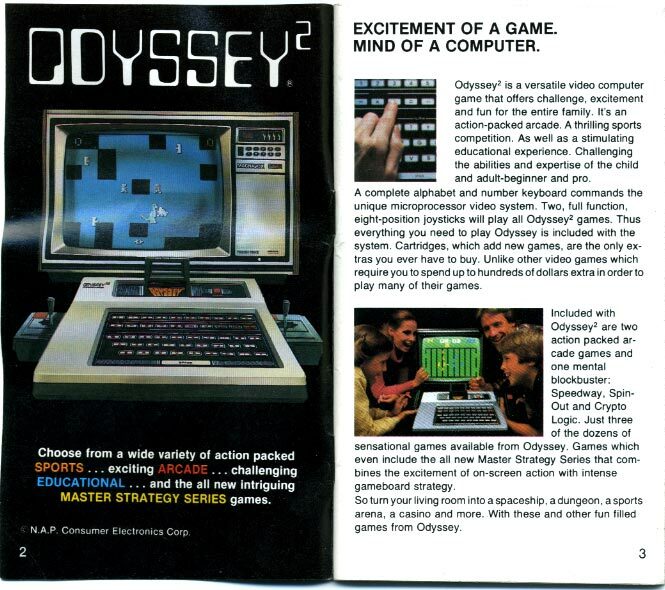 "Those TV dealers started a rumor saying the Odyssey would damage any TV except for those made by Magnavox. Seems pretty dumb now, in retrospect, but they were trying to sell TV's, not video game consoles. So it's not so much that people were paranoid in 1978, but that they had been misled previously and many still didn't know it."